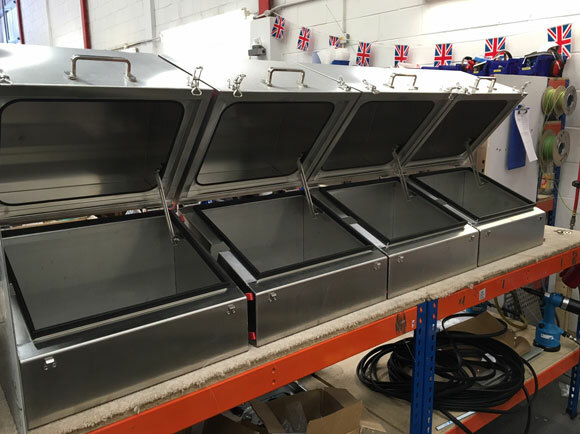 As fabricators and customisation specialists we are able to manufacture to your exact specifications. We have put customer service as our utmost priority and as such we will endeavour to meet even your most stringent design requirements. indEx enclosures are designed to meet your exact size requirements so you are no longer constrained by standard “off the shelf” enclosures or designs. Customise to your exact size or match any enclosure “footprint” currently in the market. One piece silicon gasket for enclosure life long use. You no longer have the inconvenience of timely in-house machining by 3rd party assemblers or distributors! We work to our customers schedule NOT standard lead times. 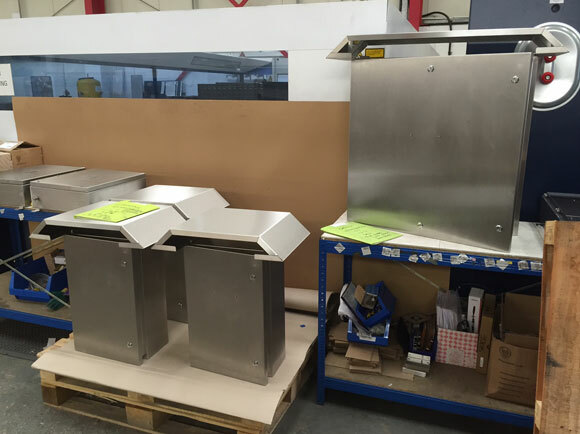 Although we have a standard range we build to order, and as such the size is only limited to 2000mmx1200mmx800mm for ATEX, (much larger for industrial use - see below), in a range of gauges and finishes. Built to the highest standards and fabricated to our customers exact dimensions, this example shows a housing which allows a transformer to run in a zone 2 area using the Ex nA, non-sparking protection method. 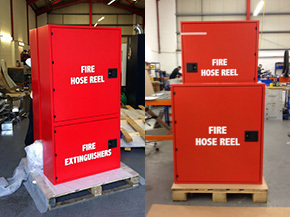 Our tooling allows us to build much larger industrial type enclosures, such as battery crates, cabinets, and fire control stations. 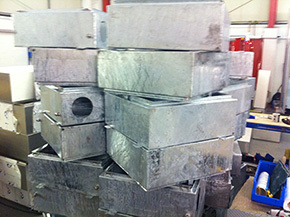 Mostly used for cathodic protection, indEx can provide custom sized galvanised enclosures for use in the most onerous conditions. 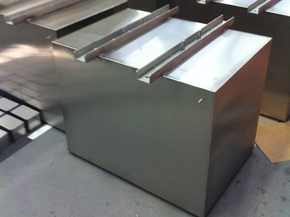 Bespoke base, lids and canopies for use in harsh environments. Stop wasting time and money using the tired old manufacturers and assemblers. Contact indEx now for your rapid customised solution.